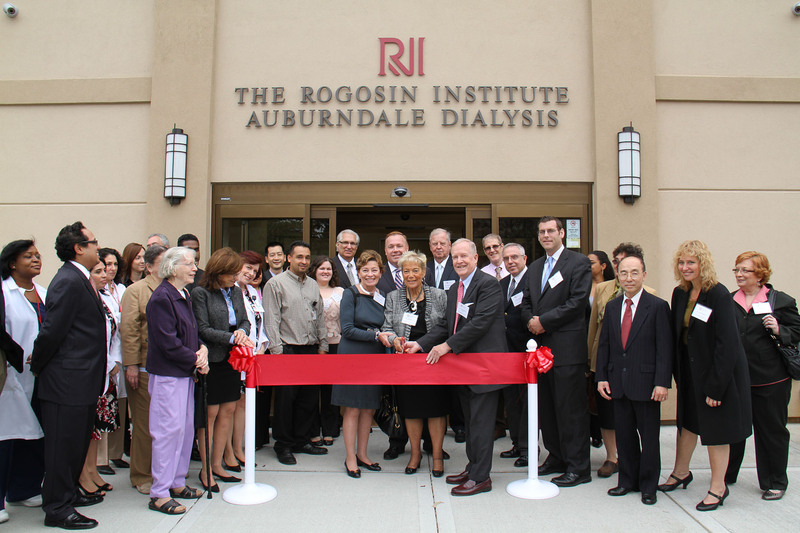 Queens Borough President Helen Marshall helps Anne Cote Taylor (left of center), board member of the Rogosin Institute, and Dr. Barry Smith (right of center), director of the center, officially open, Wednesday, October 12th, the Institute’s new dialysis center on Utopia Parkway in Auburndale. 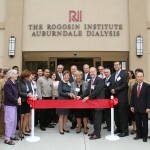 The Institute, which already operates a center in Woodside, is a leader in the treatment of kidney disease. The new center can provide services for more than 200 patients and will be open until 11 p.m. six days a week (not Sunday). Behind Marshall is City Councilman Dan Halloran. Marshall said that the new center was a welcome development in the wake of the recent closure of Flushing Hospital’s outpatient dialysis center.